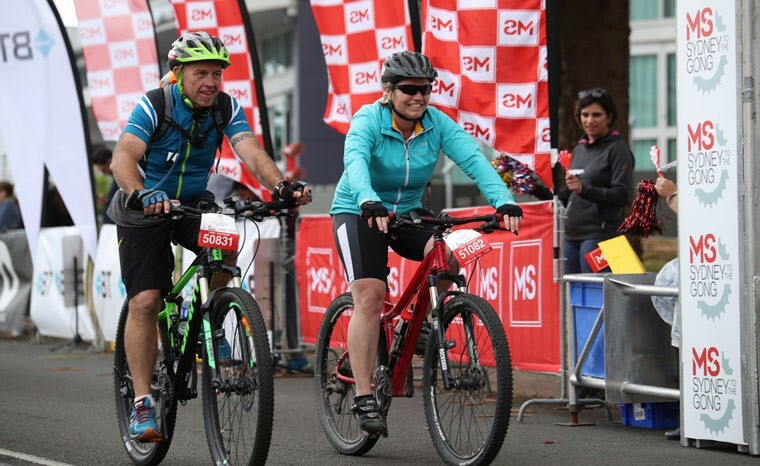 After being involved in the MS Gong Ride as a supporter and Ambassador since 2005, Stephen is taking on the challenge this year in support of people living with MS, like himself. When Stephen was diagnosed in 2001, at age 22, his response was "You have to get something in your life - MS is lucky to have me!" After a year of dealing with his multiple sclerosis, medications and depression, Stephen decided it was time to get positive. He commenced working full-time for a film and television company and kick-started his social life again. Stephen now works part-time with us here at MS.
Stephen has remained positive - as hard as it can be living in pain 24/7. 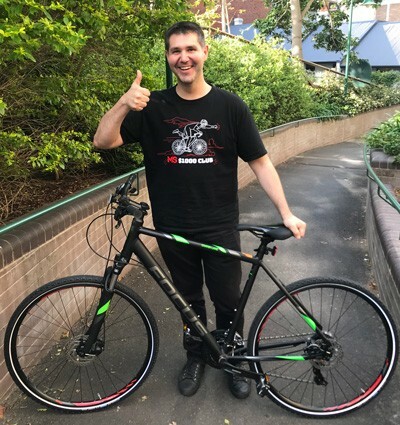 He enjoys talking about and raising the awareness of MS. Stephen has been involved in the MS Gong Ride since 2005, but for the first time this year he’ll be taking on the challenge himself, after including it in his bucket list over 10 years ago! Mark was diagnosed with multiple sclerosis in 2014 at the age of 45 and lost his job soon after. “I was frustrated at the time, but since I’ve not been able to work I’ve been at home with my two beautiful kids, and I wouldn’t change it for the world, not for anything”, he says. Living with MS…Mark has his good days and bad days, but he tries to make the best of everyday and enjoy the little things. He thought the world was caving in on him at one point but he woke up one day and thought, “well the sun is shining” and his outlook changed forever. The money you raise makes a real difference to the lives of people living with multiple sclerosis, like Stephen and Mark.